Production ISP with PC and standalone options. Supports thousands of devices. 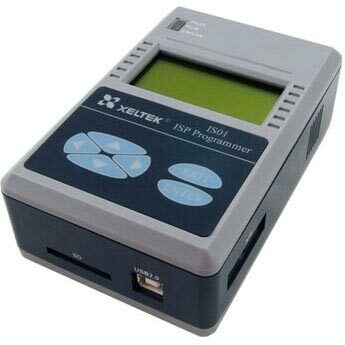 Why should you buy a Xeltek SuperPro Programmer? 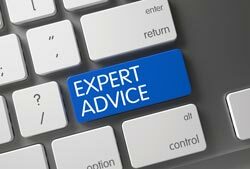 Xeltek programmers are designed for professional use, and are probably the best programmers in the world. 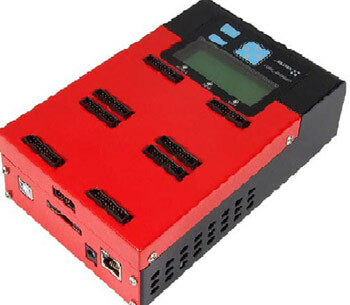 If you need the following, then choose a Xeltek programmer. 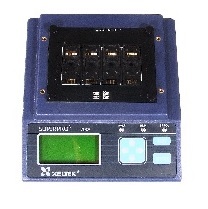 All the Xeltek SuperPro Programmer range have 48-pin or larger ZIF sockets, for programming N/CMOS EPROM,EEPROM, EPROM/EEPROM, and FLASH Memory plus Programmable Logic, such as CPLD, EPLD, GAL, PEEL, PALCE and more. 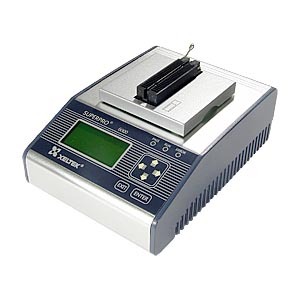 A range of microcontrollers can also be programmed, such as Atmel AT87, AT89, AVR ATmega and ATtiny devices, Intel, Microchip PIC and dsPIC, Motorola, Signetics, Zilog and others. 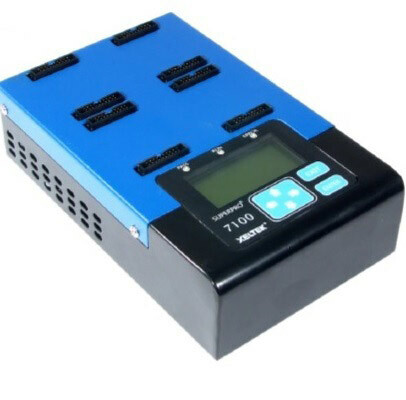 A wide range of socket convertors or adapters is also provided. 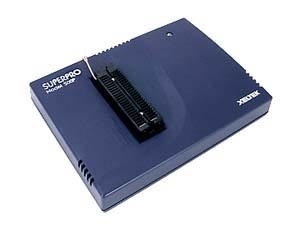 Which Xeltek SuperPro Programmer Do I need? A wide range of socket adapters are available, for devices in all sorts of packages including SOIC, SOP, SSOP, SOT, BGA, TSOP, PLCC, QFN, PSOP, FPGA, BGA and TQFP, from 6 to 208 pins. 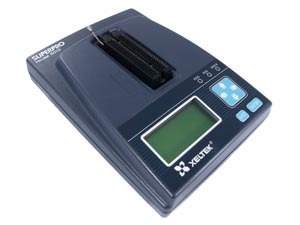 Some of the most popular devices are listed on the shop - see Xeltek Adapter Category but many more adapters are available. 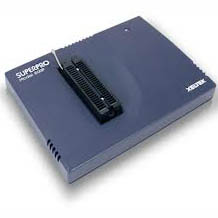 Large pin count devices are supported much better on programmers with more pin drivers, because this means that all pins can be connected, and one socket will support lots of devices. Less pin drivers means less pins are connected and every device will need its own socket variant, even if it is in same package.